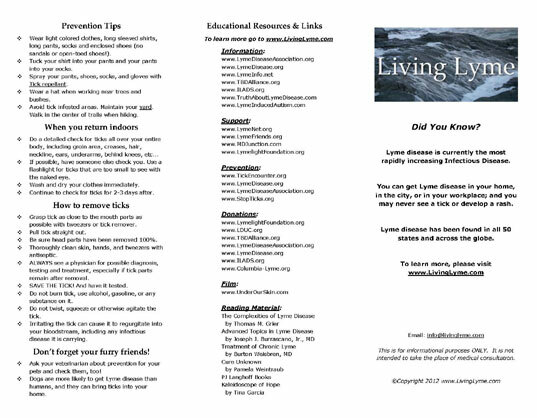 I am overjoyed to announce the release of the newly designed Living Lyme Flyer. 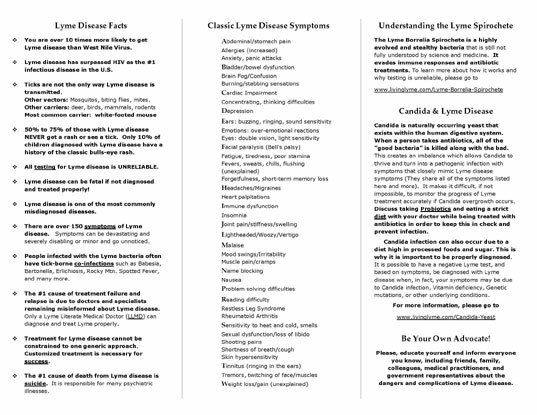 I created the original Lyme Flyer in 2010, but have felt for awhile it needed a major facelift. A very dear friend of mine inspired and encouraged me to overhaul it. I hope you find it useful. The original intention remains to allow people to distribute it in order to educate the general public about the facts about Lyme disease. Please feel free to email the electronic version or print and distribute as much as you like. This brochure is great for giving to friends and family, distributing at events or garage sales, passing out during May is Lyme disease Awareness Month, and giving to your doctors (especially those who may have misdiagnosed you). You can ask to leave it at pharmacies, doctors offices, libraries, health food stores, anywhere you can think of. I keep a few in my glove box in my car just in case the opportunity arises. 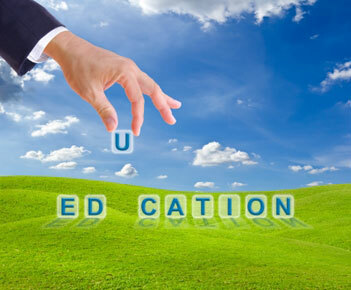 The idea is to educate as many people as possible about the dangers and facts about Lyme disease. Hopefully it will encourage them to use prevention and take action for more research, accurate testing, and diagnosis. Please do not copy, rewrite, or post any portion of these documents, in part or in full. You may post links to my website for others to download if you would like (See the Copyright page). Note: If you are having difficulty opening this, please download the most current version of Adobe Reader. Print on both sides of an 8 1/2 X 11 sheet of paper. Make sure printer is set to actual size when printing. Set the second page (see below) facing up. Fold right side over 1/3 of the way to the line on the left (in between Facts and Symptoms). Fold left page over to the edge. The logo should be showing on the front of the flyer. The first page shows the outside of the flyer. The second page shows the inside of the flyer.